Models are visual representations of the various concepts presented throughout the website. Click on the desired title to access the respective the model. 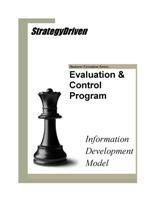 StrategyDriven contributors would greatly appreciate your feedback on the quality and content of our models. Your thoughts and suggestions will help us improve our future offerings and ensure we continue to meet your needs. Please email us your feedback at [email protected]. All models open as .pdf files and require Adobe Reader or an equivalent viewer. If you do not have Adobe Reader, you can download the program for free. Versions are available for Windows, Mac, and Unix/Linux.